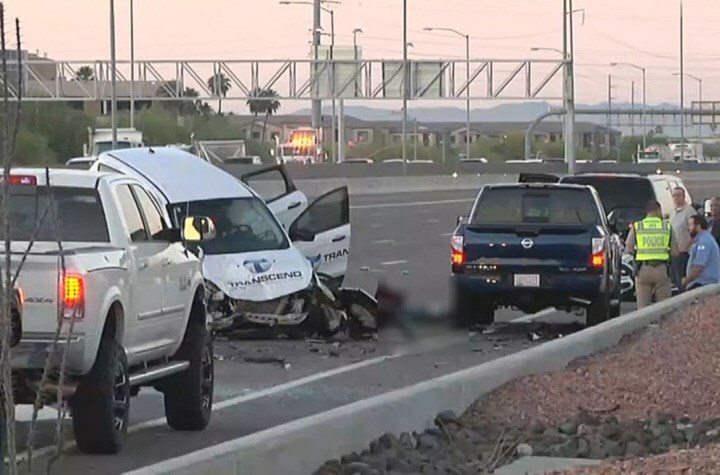 Phoenix, Arizona—Johnny Youngblood, age 38, and Beverly Click-Chance, age 53, were killed on Monday morning when they were struck by an SUV on I-17. According to accident investigators with the Arizona Department of Public Safety, Mr. Youngblood was operating a motorcycle when he lost control for unknown reasons and went down. Three vehicles stopped at the scene and several bystanders came to Mr. Youngblood's aid. During this time, a fourth vehicle driven by Brian Higbee approached the crash scene and struck Mr. Youngblood and several bystanders, including Ms. Click-Chance. Mr. Youngblood and Ms. Click-Chance were killed when they were hit by the SUV. Two other bystanders, whose names have not been released, were transported to local hospitals in critical condition. Ms. Click-Chance was on her way to work at St. Vincent de Paul when she witnessed the motorcycle crash. Family members stated that it did not surprise them that she stopped to render aid to the downed motorcyclist. DPS accident investigators do not believe that impairment was a factor in the crash. Other causes have not been ruled out, however, and charges are possible. We offer our condolences to the friends and families of Mr. Youngblood and Ms. Click-Chance. We wish speedy and complete recoveries for the bystanders who were injured in this tragic crash.